Leading browser game developing company playzo GmbH, who has already created titles like Desert Operations and its white label spin offs Wargame 1942 and Generals of War, announces a new game with the name "Desert Operations: Instant Warfare". This year will see the publication of a new interpreation of the renowned strategy game "Desert Operations", which has won numerous awards over the past years, by developer playzo. The platform for the game will be Apple's app store and Google's play store as well as the browser. 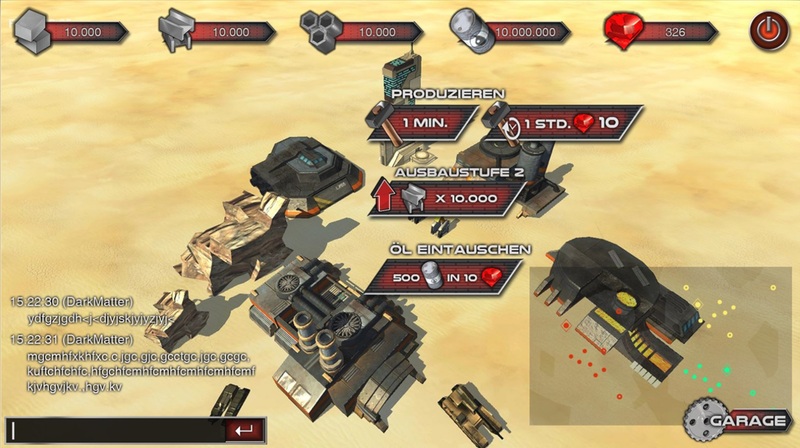 In "Instant Warfare" the player fights in one of three hostile lairs on a map against thousand of real opponents through strategic orders for his fleet of tanks. This marks the first time a game by playzo makes use of a 3D engine which guarantees for new gaming experiences. The player will have a large number of tanks at hand to be sent across the map in real time. "We're delighted to publish a title mainly made for mobile devices with 'Instant Warfare'" says CEO Christoph Süß. A release is planned for April 2016. Currently the company is looking for possible collaboration partners.